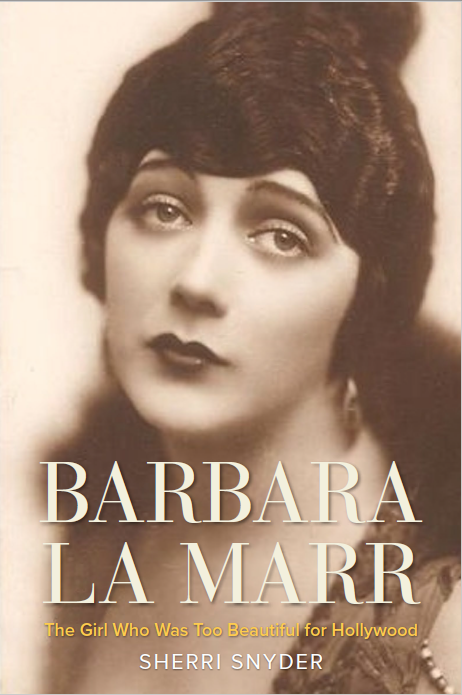 My Barbara La Marr Biography Has Been Released: Receive 20% Off! My biography, Barbara La Marr: The Girl Who Was Too Beautiful for Hollywood, was released by the University Press of Kentucky on November 15, 2017! Those who purchased the book directly from the University Press of Kentucky will receive their order any day now. Book shipments will be making their way to Amazon and other booksellers over the coming weeks. The University Press of Kentucky is running a 20% off holiday sale through January 31, 2018, on orders (for the cloth version) placed via their website. Be sure to enter the discount code provided when ordering. This entry was posted in Book Updates, Reviews, and Interviews, Uncategorized on November 15, 2017 by Sherri.